They are considered bimetallic, meaning they are composed of two different types of metal or metal alloys. 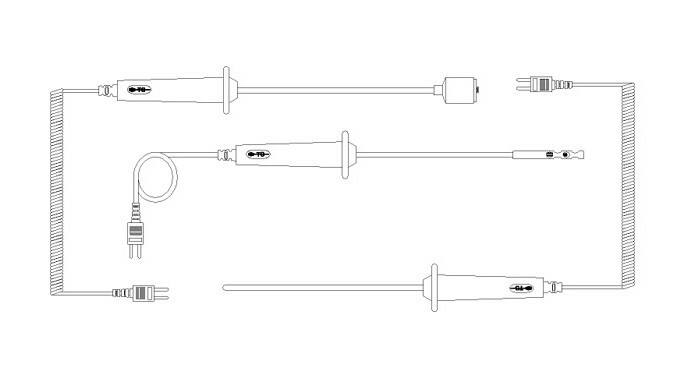 Temperature Probe – Temperature Specialists, Inc. Temperature probes are safety features in many different systems within the gas and oil, food, brewery, petrochemical, building heating, water heating, pharmaceutical, power generation and metal (mainly steel and iron) fabrication industries. They are employed to monitor temperatures, which may correlate with gas leaks and the potential for explosions, fires or overheated machinery and operation systems. Therefore, temperature probes are used as safety sensors or heat sensors that keep machinery and heating systems running at the optimal operation temperature. Furnaces, gas fireplaces, gas water heating systems and diesel engines also use temperature probes. In general, these temperature sensors have an operation range from -420º F to 3300º F, although some types are better able to handle more extreme temperatures than others. There are many different kinds of temperature probes, which include type K, the most universal general use thermocouple, in addition to E, J and N. Type B, R and S are considered platinum because they use exotic metals. All temperature probes are simple devices composed of only a few parts—two different metal alloy wires that are joined together at one end to form a sensor, insulating and protective tubing around the wires, and a thermostat or temperature reading device, which attaches to the other end of the wires and is often digital. Portable thermocouple instruments are battery powered and most likely have a digital readout. All thermocouples use the conjoined end wires as a sensor that is placed directly in the area to be measured. The heat generates electrical voltage that conducts its way up the two thermocouple wires. The voltage changes in proportion to the temperature, therefore the voltage indicates a temperature difference between the area at the sensor end of the wires and the room temperature thermostat attached to the opposite end of the conducting wires. That temperature difference is deduced from a measurement of the difference in thermoelectric potentials developed along the wires. If the temperature probe measures a temperature that is too high or low, it will signal an alert or system shut down. The most accurate temperature probe instruments are platinum or platinum-rhodium types R and S, but the most widely used are K because of its wide temperature range. Type K uses aluminum and nickel alloy for one wire and a chromium nickel alloy for the other, both of which are inexpensive metals. Temperature Probe Temperature probes are another term for thermocouples, which are temperature measuring and monitoring devices that sense the electrical conductivity produced by heat in gas or liquids to maintain an appropriate temperature in a wide variety of different systems that use heat energy.